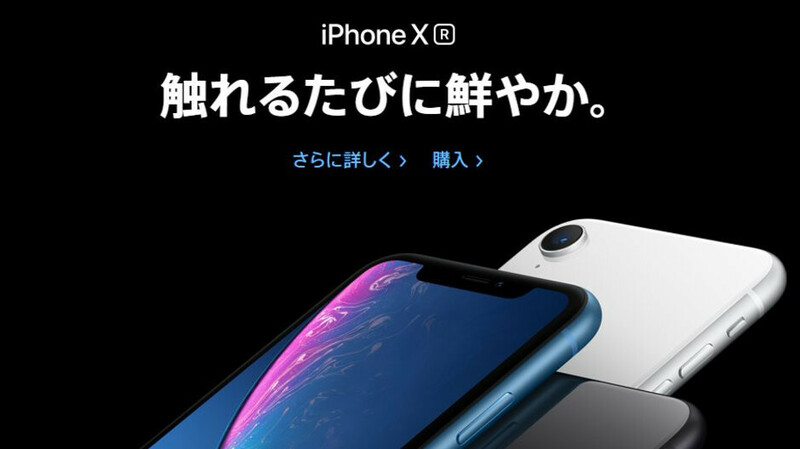 Over the weekend, and just as rumored last week, the iPhone XR's carrier pricing in Japan went from 36,000 yen ($317) to 24,000 yen ($211). Needless to say, these are the subsidized tags with a contract, so essentially Apple's phone price has been indirectly lowered by increasing subsidies by NTT DoCoMo, Japan's largest carrier. If the others follow suit, the synchronized nature of the discount would hint at some coordination with Apple's local reps, aiming to stave off tepid iPhone XR sales. Given that Japan is Apple's stronghold in the region, and its market share there is larger than that in the US, a move to keep that position is rather explicable. Unconvinced by the notch and Face ID's virtues, the Japanese users are reportedly getting an iPhone 8 and iPhone 8 Plus when they upgrade, rather than the XS or XR models. That trend is seemingly universal, as plenty of analysts already lowered their buoyant sales targets for the XR, while the 8 and 8 Plus assemblers are churning out handsets like iOS navigation gestures never happened. In my country its 1000$+ with cheap quality 720p huge display. And huge bezels and huge notch. Cheap clone look and single cam. Who would buy this crap ? The display is of very good quality. The camera is not as good as I would have hoped (I have to edit the pictures a bit for real life resemblance, but not much; night time pictures with the flash are sometimes bright - I have to adjust the brightness intensity and take 2-3 pictures to get the right image). The bezels are indeed on the large side. This phone is for 6s (with depleted batteries) and older iPhone users that want to upgrade, but don't want to spend too much money. I'm surprised that the previous gen iPhone 8/8+ is out selling the newer "better" iPhone XR. Why. The iPhone 7 was outselling the 8. So Apple pulled it from apl retailers to force people to buy the higher priced 8. PA posted the article here. https://www.google.com/amp/s/investorplace.com/2017/10/apple-inc-iphone-7-outselling-iphone-8-dont-panic/amp/ It is however normal that when a new iPhone comes out, the previous gen has higher sells donto retailers can carriers having drops in prices and running deals to lessen stock they have alreasyboaid foe. In fact VZW just had a sell on the iPhone 6S because they are stuck with a lot of them do to poor sales. Usually it takes until Apples 2nd quarter for sales of the new model to exceed the older model. This time, unless Apple pulls the 8, it's not gonna happen. This is the iPhone 5c all over again..... Is it a coincidence when Apple releases colorful phones their sales dip. Could it be that they want Touch ID? Because on their country, Face ID is a complete failure for security. These coworkers who are unrelated were able to u lock the original X. https://youtu.be/GM0by68uX90 Also the iPhone 8's are considerably cheaper when the XR is close to $1000 or more outside the US. The XR is a failure and its Apples fault. Skimping on hardware, skimping on features, skimping on accessories, but raising the price. Trying to sell a midrange device, with low end specs and increased price is hurting them. Exactly what they deserve. Something is wrong with a video that talks about an iPhone problem and has under 300 views. Apple has not skimped on hardware or features with XR (the later it's even better in some ways); every accessory that is compatible with XS is also compatible with XR (except the cases); every feature (except HDR and 3Dt) that is on XS is also available on XR. XR is just as fast as XS, it's faster - on average - than any Android phone on the market and it's price is exactly the same as last year's Plus model. Faster? for how many minutes before it get trottled? I have used the xr continuously to test the endurance (btw, it has outstanding battery live: ~10h screen on) and it kept cool (it’s better than how 6s and 7 behaved). So, I don’t know if this phone (or chip) is going to ever be throttled. Wow, they choose it over a cheap 1080p display. So impressive! There's a reason they don't compare it to other flagship screens. Come off it, the Poco F1 is known for having a $hite screen, thats exactly why JM (apple fanboy) chose it, he knew the XR couldn't lose. Totally rigged test. Maybe it’s not a primary reason, but I’m sure it’s a consideration. People just like symmetrical phones with bezels, that aren’t using a jarring aspect ratio. I have seen flagship android phones being sold, can't say the same for the xr. I haven't seen one xr out and about yet. I dont think the xr is a bad phone at all, just not worth over about $650. If it was priced at that i think sales would be killing it. Ok, all i have to say, see ya Oh and as for that video, do you believe everything you see on the internet. Shock horror, you havn't seen a phone which isn't officially sold in your country (P20 Pro). You win the dumbest comment on the internet award. BTW here in the UK i have yet to see a XR but Huawei / Honor phones are everywhere along with Samsungs. It all depends on the market and marketing, here in the UK i have seen one Apple advert in the last 6 months yet almost every Tv break has a Huawei P20 Pro advert run in it and it's working for them. Like what Microsoft beat Apple as the most valuable US company then Apple rushed mask the stocks to avoid embarassment? Because Apple went on a huge stock buyback (again). Proven by the outstanding stock dropping across the day, typical Apple tactic by Tim Crook who is desperate to stay on top and artificially propping up the shares to the tune of $100 Billion in 2018.